Stay in the loop - sign up to our newsletter! LORD: Live at ProgPower USA XVII was recorded live in Atlanta, USA in 2016 in front of a packed house of loud and proud metal fans, featuring tracks from across the LORD and Dungeon Era back catalogue, and a blistering cover of a Metallica classic. This was the blueprint that LORD adopted right from the start, back when the band was known as DUNGEON and based in the Australian outback. That open mind and sense of fun, the unashamed goal of doing what feels right, regardless of any trends or expectations is what has taken LORD around the world, playing alongside some of the biggest bands in rock, such as MEGADETH, QUEENSRŸCHE, NIGHTWISH, HELLOWEEN, SAXON and MAYHEM, just to name a few. 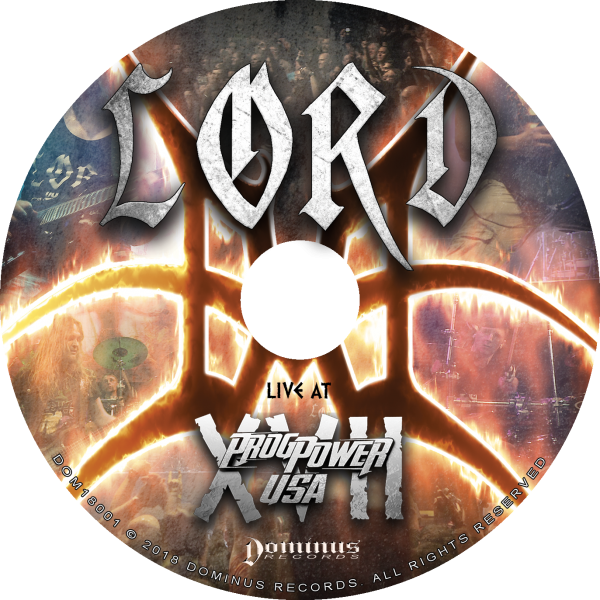 Now preparing for their upcoming release, and most recently returning from appearances at Indonesia’s massive Hammersonic festival, and the prestigous ProgPower USA festival (which was recorded and filmed for a live release), LORD is ready to build on the legacy of their impressive back-catalogue, and write the next page in their long and varied history. L.T. (or Lord Tim, if you prefer) is one of the founding members of Dungeon, that went on to become LORD after a restructure in 2005. Originally, L.T. was attempting to form a thrash metal band, where he was the guitarist. Unfortunately, in the Australian Outback, finding other like minded musicians up to the job wasn’t an easy process. Eventually Dungeon came together by accident, L.T. fell into the position of lead vocalist and guitarist, and that’s how it’s remained since late 1989. Aside from LORD, L.T. is part of the Blackened Angel epic extreme metal side project with Serenity Defiled guitarist Ricky Boon, providing vocals and lead guitars, guest vocals and lead guitars for Serenity Defiled, and appears as a guest for various other outfits such as FromBeyond, Ilium and his own personal side project, Clarity. 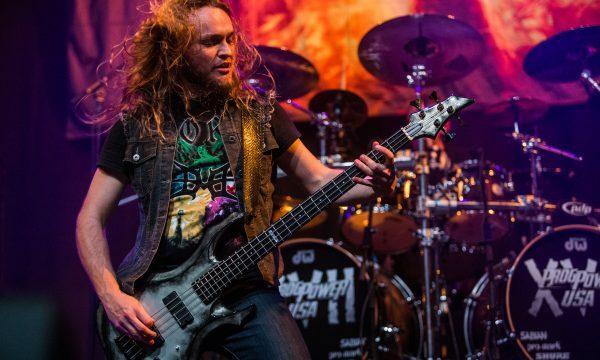 When Dungeon transitioned to LORD in 2005, Andy was the first choice of bassist for the remade band as he was a fan of the band for years before and worked as a roadie during the 2005 European tour. Aside from being LORD’s defacto tour manager and social media guru, Andy also runs two successful Podcasts: The Andy Social and Self Starter. Mark originally came to the band’s attention when he hired L.T. to perform session vocals for his personal project, FromBeyond. After a lineup change at the end of 2006, L.T. was so impressed with his fretboard skills, Mark was invited to be a touring guitarist throughout 2007 and was made a permanent member at the end of the year, and has since gone on to write some of LORD’s most popular songs. Darryl Murphy – live drums. Daz was the touring drummer with LORD since 2016 and appeared on the Live at ProgPower USA XVII album / video. Tim Yatras – session drums, former member. T.Y. joined the band in 2005 and was a founding member when the name was changed from Dungeon to LORD in 2006. He left the band in 2009 to pursue his own successful projects, but has continued to contribue session drums for every release except Digital Lies, Return of the Tyrant and Live at ProgPower USA XVII, including many co-songwriting credits. Damian Costas – drums, former member. Damo replaced T.Y. in 2009 and toured extensively with us for four years, appearing on the Return of the Tyrant and Digital Lies releases. 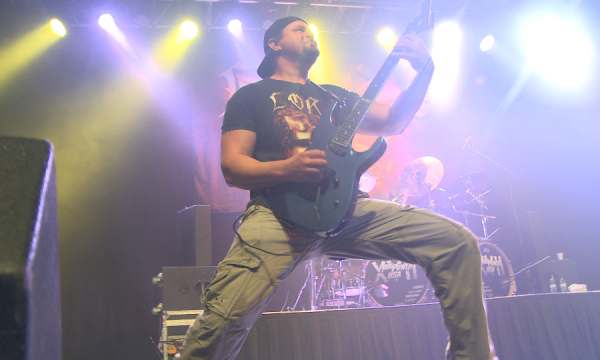 Mav Stevens – guitars, former member. 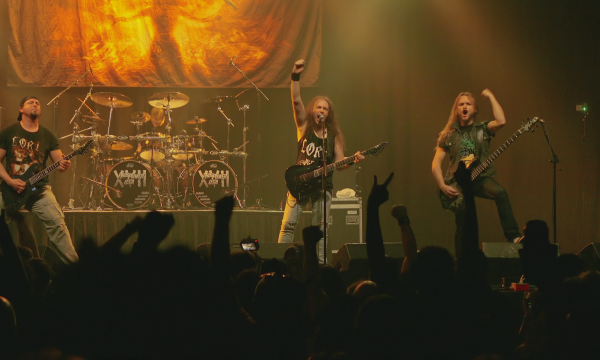 Mav was a founding member of LORD, touring with the band all though 2006, appearing on the Live at the Metro release, and returning for guest backing vocals on Return of the Tyrant. Simon Batley – live session drums. Simon, a member of Troldhaugen, filled in as live drummer in 2013, including shows in New Zealand, Japan, and throughout South East Asia. Adam Barck – live session drums. Adam was with the band for most of 2015 and appeared in the Against the Wind video clip. Tom Brockman – live session drums. Tommy hopped on drums for two shows in between tours with his main act Taberah. Matthew Bell – live session guitars. Matt filled in for L.T. for around six months in 2010, when he was advised by doctors to take a break from playing due to an ongoing wrist injury. Chris Brooks – live session guitars. 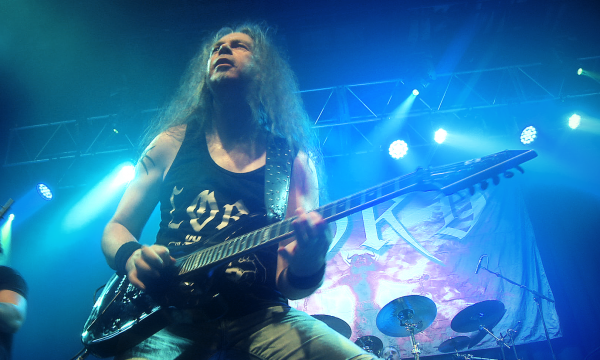 Chris joined LORD for two shows in 2015 when Mark was unavailable to tour. He also appeared as a guest on the Ascendence and Set in Stone albums. Shane Linfoot – live session guitars. Shane, a former member of Sydney prog band Transcending Mortality, did two shows with LORD in early 2007, before handing the reins over to Mark. Craig Goldy (Dio) – guitars, Glen Drover (Megadeth) – guitars, Olof Morck (Amaranthe, Dragonland) – guitars, Felipe Andreoli (Angra) – bass, Stu Marshall (Death Dealer, Night Legion) – guitars, Juz (Platinum Brunette) – bass, Chris Porcianko (Vanishing Point) – guitars, Yoshiasu Maruyama (Argument Soul) – guitars, Richie Hausberger (Enter Twilight) – guitars, Chris Brooks (solo artist) – guitars , Pete Lesperance (Harem Scarem) – guitars, Mark Furze (actor, Falcon Road, Shotgun Alley) – backing vocals, voice acting, James Lopes (Cherrypickers) – voice acting, Jim Shipstone – voice acting, Tyrone McMaster – voice acting, Amylea Griffin – voice acting, Tania Moran (solo artist) – backing vocals, voice acting, Victoria Ferrara – voice acting, Jacqui Freeman – voice acting, Luke Reeves – voice acting, Jack Fairweather – voice acting, Gareth Michael (Veil) – backing vocals, Hideaki Niwa (Vigilante) – Japanese language lead vocals, Gustav Hoffmann – keyboards, Gabrielle De Giorgio – keyboards, Byron Farrugia – voice acting.